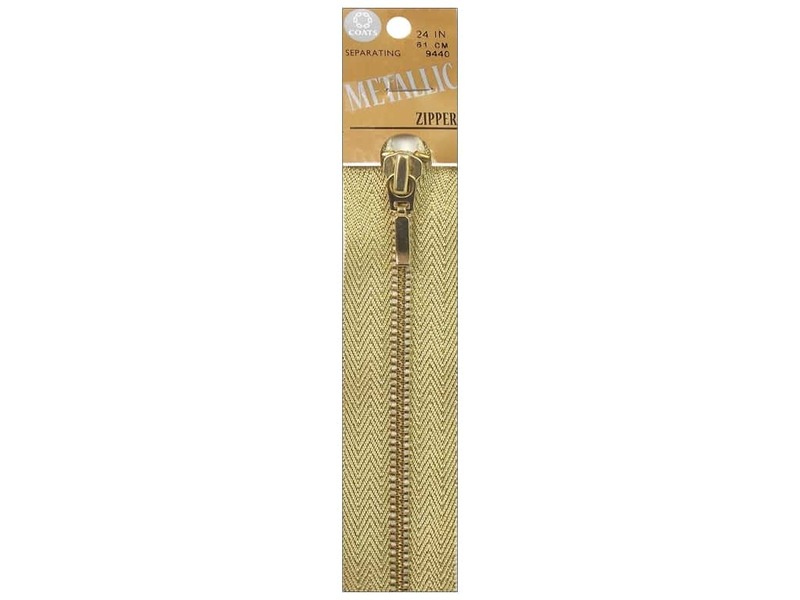 Description: Coats Metallic Separating Zippers add a bit of elegance to any fashion garment. Polyester lurex tape creates a rich metallic look. Exposed brass teeth are paired with an elegant pull to add glamour to any project. 100% Polyester. 24 inch. Gold. See more Coats Metallic Separating Zipper. Coats Metallic Separating Zipper 24 in. Gold -- CreateForLess 5.00 out of 5 based on 1 ratings. 1 user reviews.